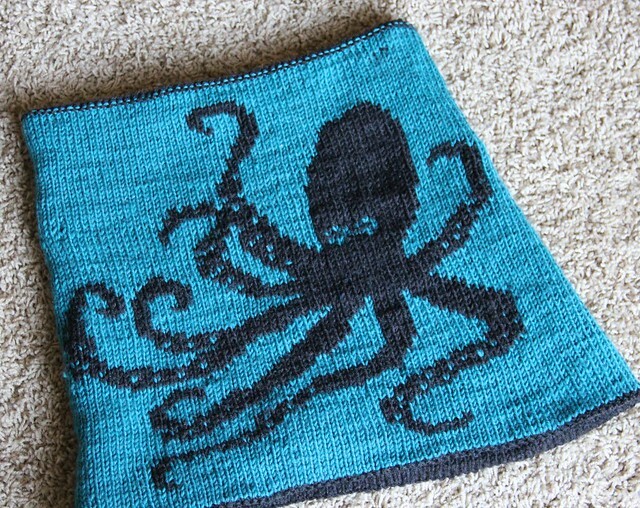 September 3, 2014 August 28, 2014 LauraLeave a Comment on Knitting: Double Knit Kraken Cowl. 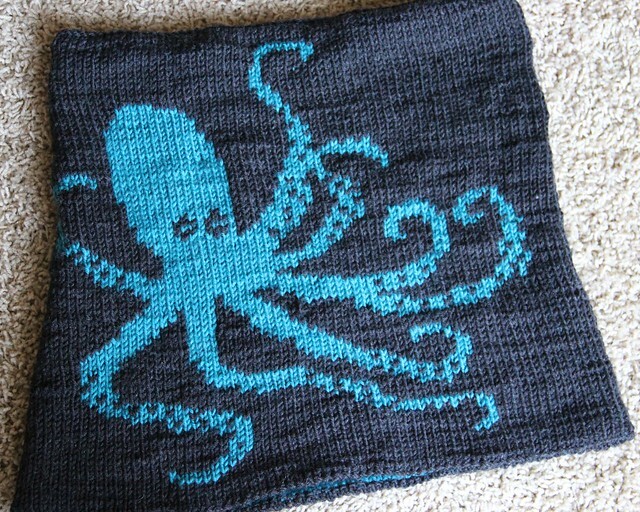 Knitting: Double Knit Kraken Cowl. I posted tea accessories with everyone’s favorite cephalapods a few months back. For those who are crafty, I wanted to show you the fabulous kraken cowl that I just finished knitting for those cold winter days. Notes: If I had it to do again, I wouldn’t use superwash yarn. If I had knit with non-superwash wool I could have spit spliced all my ends and not had to weave any in, a bonus for a double knit piece since there is no “wrong” side.